Now let’s fast forward to the pre-colonial America. 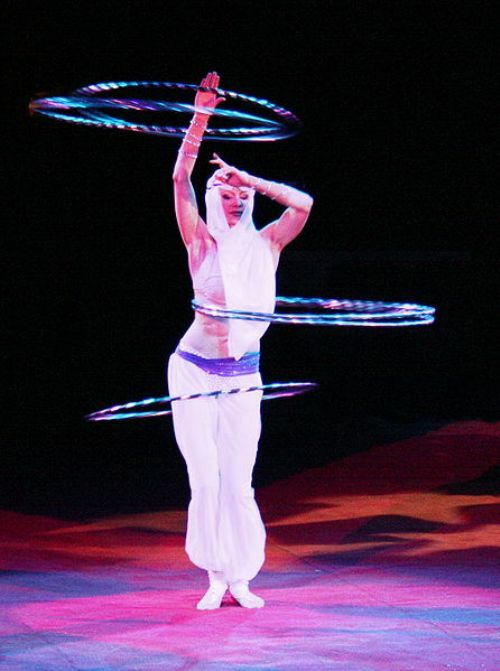 Hoops were actively used in ritual dances. By the way, to this day, some tribes continue the tradition, passing from generation to generation the ancient rites. 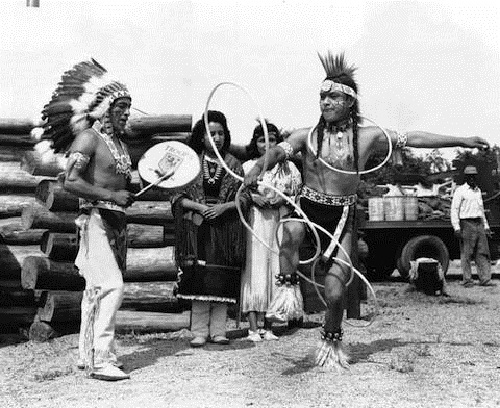 So, for example, shaman dances with hoops for healing the sick. 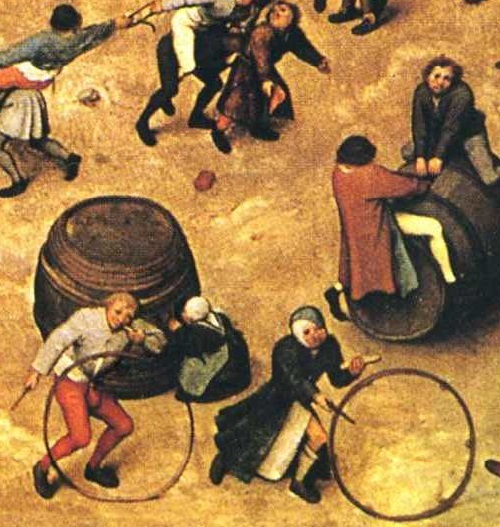 Researchers of the ancient world say that from the 8th to the 15th century across the valley of the Mississippi River, a popular entertainment was the original game with hoops. 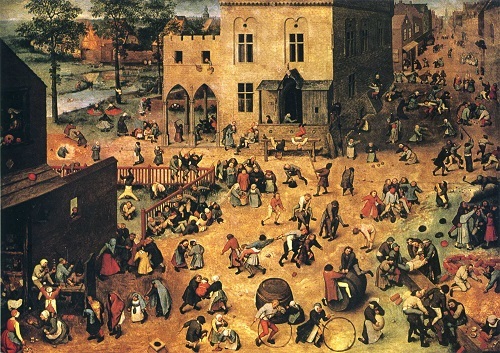 The game reminds us all well-known “Gorodki” (Russian “townlets”; Swedish “Poppi”), only figures lined up in the center of the circle. According to the archaeologist and anthropologist R. Pauketat, among the ancient Indians existed a ceremony during which the participant had to throw a stick through the suspended hoop. This action represent fertility and the birth of a new life. The motive of the vicious circle goes virtually through the entire world folklore. Human life begins with the penetration of the male into the female essence, and the universe begins with the penetration of light into the darkness. Rolling the hoop in many nations represented the movement of the sun over the horizon. 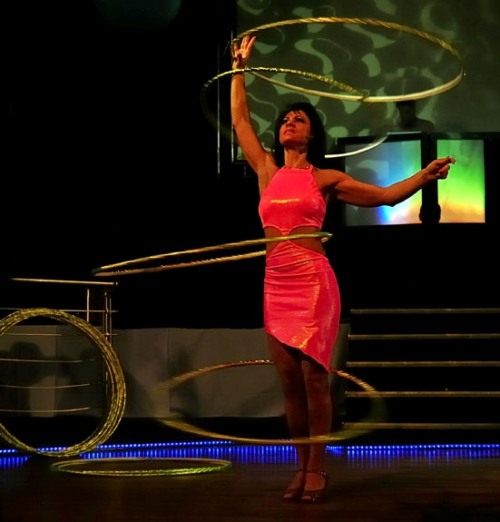 In short, the history of modern hula hoop is full of interesting facts that help us understand the evolution of human thought as such. And the ancient Greeks used hoops to exercise. For example, a vase in the Louvre, dated 500-490 BC, shows Ganymede rolling a hoop. However, there is no evidence that hooping was part of the early Olympics. By the way, the next World Hoop Day is October 1st 2016! WHD is officially on the first Saturday of every October. The highest score on Wii Fit Plus Hula Hooping (Wii) is 333 and was achieved by Lydia Finn (UK) in Lancashire, UK on 10 February 2015. 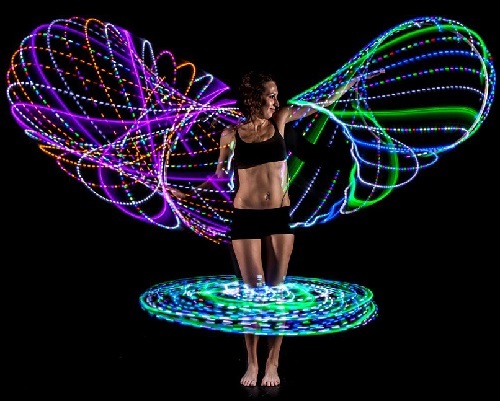 The largest hula hoop has a diameter of 5.04 m (16 ft 6.7 in) and was spun three and three quarter consecutive times by Ashrita Furman (USA) at Hillcrest High School in New York, New York, USA, on 9 September 2010. The hula hoop was made of carbon fiber. The fastest time to hula hoop one mile is 7 minutes 58.91 seconds and was achieved by Stefan Testi (Australia) at the Western Australian Athletics Stadium in Perth, Australia, on 20 March 2015. 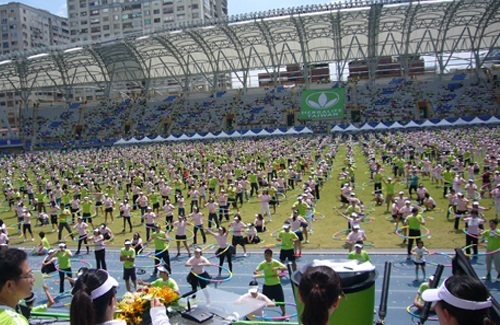 The most people dancing with hula hoops simultaneously is 652 and was achieved at an event organised by Chiryu Junior Chamber International (Japan) at Chiryu Higashi High School in Chiryu, Aichi, Japan, on 13 July 2014. The longest hula hooping marathon by an individual using a single hoop is 74 hours and 54 minutes and was achieved by Aaron Hibbs (USA) in Columbus, Ohio, USA on 22-25 October 2009. The fastest time to hula hoop 10 km was 1 hr 27 min and 25 sec and was achieved by Boo Chan (Australia) at the Hills Sports Stadium in Castle Hill, New South Wales, Australia, on 12 March 2009. 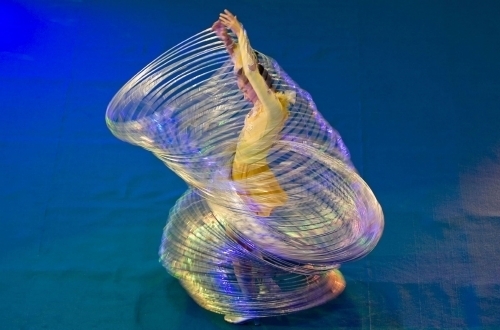 The longest time to balance a hula hoop on the head while swimming is 49 seconds and was achieved by Paul “Dizzy Hips” Blair (USA) on the set of Lo Show dei Record in Rome, Italy, on 1 April 2010. 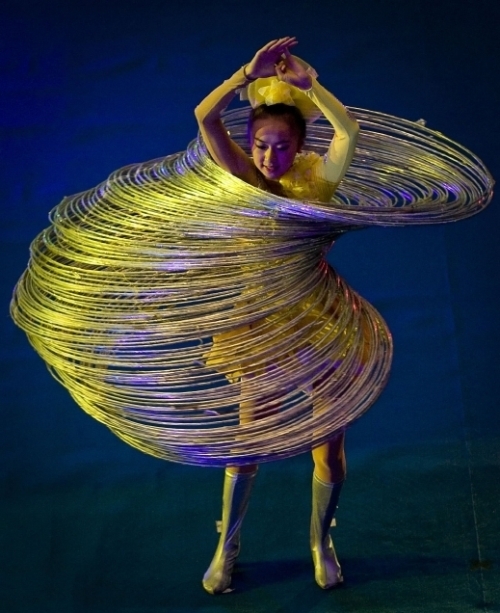 The most hula hoops spun simultaneously is 200 and was achieved by Marawa Ibrahim (Australia) in Los Angeles, California, USA, on 25 November 2015. This is Marawa’s 4th time breaking this record. 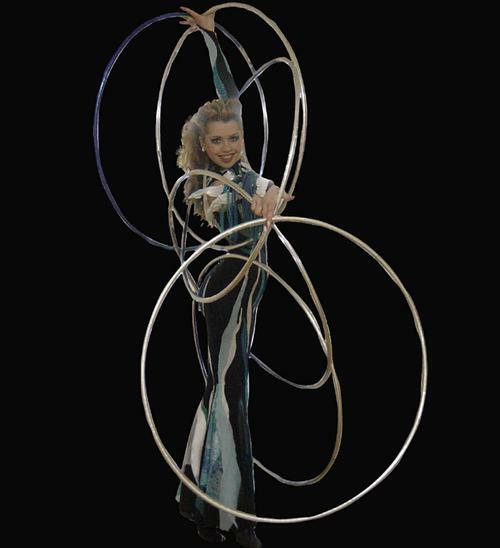 Her previous record was 160 Hula Hoops twirled simultaneously. 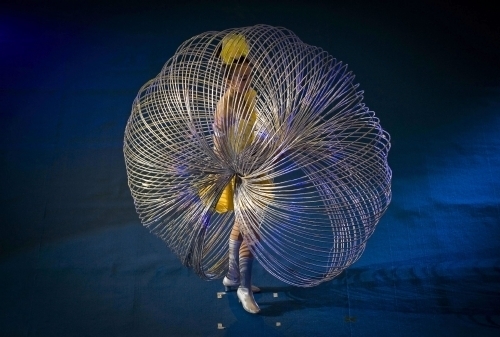 33-year-old Marawa Ibrahim, known as ‘Marawa the Amazing’, graduated from the Circus school. 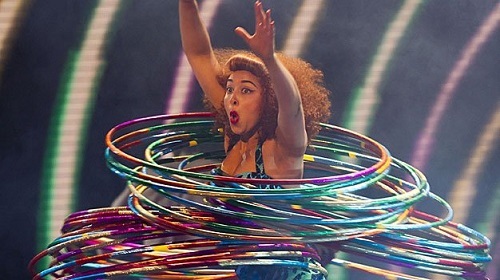 Shaftesbury Theatre in London was the venue for an incredible display of hip-shifting with a new record set for the Most Hula Hoops Spun Simultaneously. 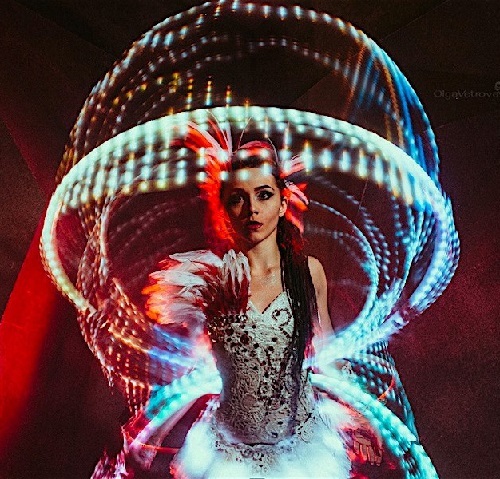 Led by performer and circus artist ‘Marawa the Amazing’, the group of young women called ‘Marawa’s Majorettes’, spun 264 hula hoops between them to enter the iconic record book. The conversion of the toy hoop into 20th-century Americana came thanks to Richard Knerr and Arthur “Spud” Melin, founders of the Wham-O Company. In 1957, an Australian visiting California told them offhand that in his home country, children twirled bamboo hoops around their waists in gym class. Knerr and Melin saw how popular such a toy would be; and soon they were winning rave reviews from schoolkids for the hollow plastic prototype they had created. The next year, the hula hoop, whose name came from the Hawaiian dance its users seemed to imitate, was marketed nationwide. 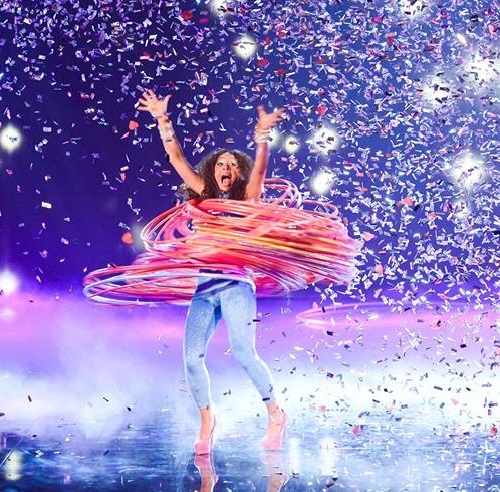 Americans kids and adults alike were hooked: Wham-O sold 25 million hula hoops in two months. Almost 100 million international orders followed. 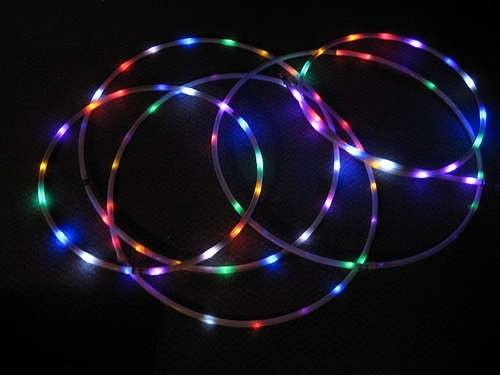 Wham-O could hardly patent an ancient item, but did reinvent, manufacture and market the hula hoop for the modern world – for example, by using Marlex, a lightweight but durable plastic then recently invented by Phillips Petroleum. By the end of 1958, after $45 million in profits, the craze was dying down.